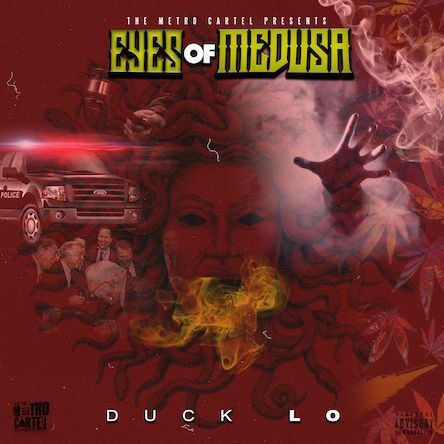 About Mixtape: After releasing the collaborative project "Prey Or Pray" in 2015, The Metro Cartel's Duck Lo follows up with "Eyes Of Medusa" on New Year's day. 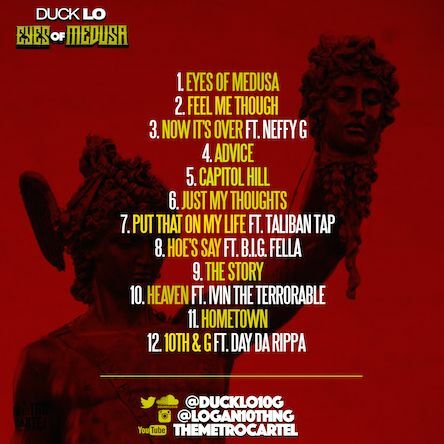 The DC-based artist is kicking things off at the top of the year with his new debut mixtape. Fully aware of his current reality,the bespectacled figure proceeds to speak his mind on poverty, social injustice, and the ongoing struggle of being black in America. Using his art to uplift his hometown with honest and unapologetic bars of oppression on the politically-charged climate of today's society, the Capitol Hill-living emcee delivers on his impressive debut project.